As well as containing Profiles, Checks and Fixups, Process Plans can also include some Actions. In this chapter, we’ll show you how this can be done. Note: Not all Actions can be used in Process Plans. Primarily, the Actions available are those which are required for certain workflows, such as for imposition. 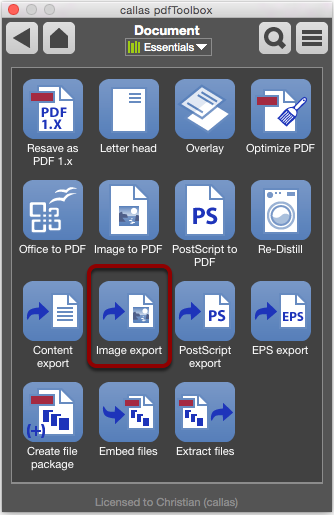 For our example, we will prepare the Image Export Action for use in a Process Plan. 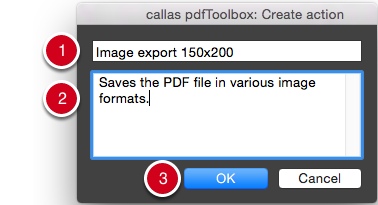 This Action is a part of the Document group, which is contained in the Essentials library and elsewhere. The Flyout menu at the bottom-left provides a range of options for the Action. Here you can also find the Create New Switchboard Action... command. 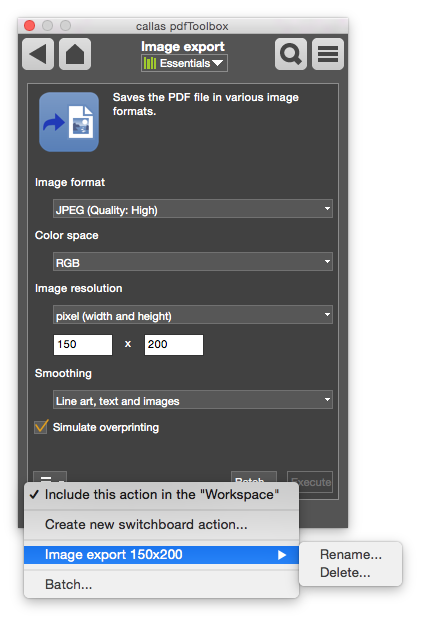 This will open the Create Action dialog. ... And edit the Description. 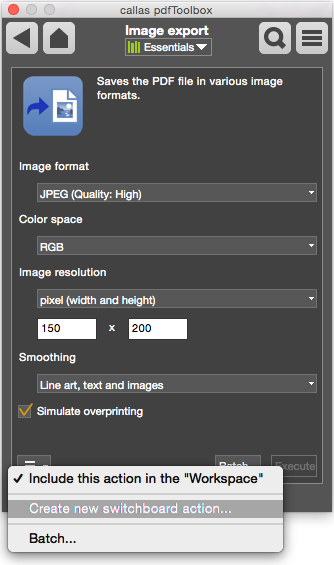 Click on the OK button to finish creating the action. 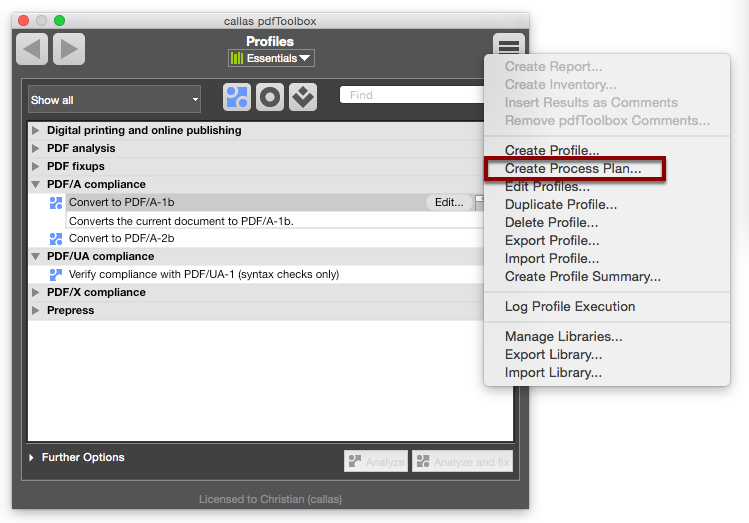 To create a new Process Plan, switch to the Profile window. The second step uses the Action we prepared earlier. 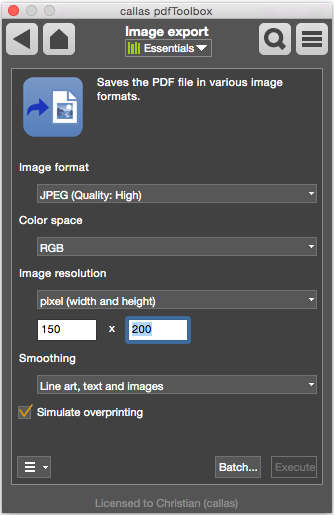 Under the Name category, the Action Image Export 150x200 can be selected. The new Process Plan should be given a meaningful Name. It is also useful to add a Comment. This will appear later in the Profile list when the Profile is activated. 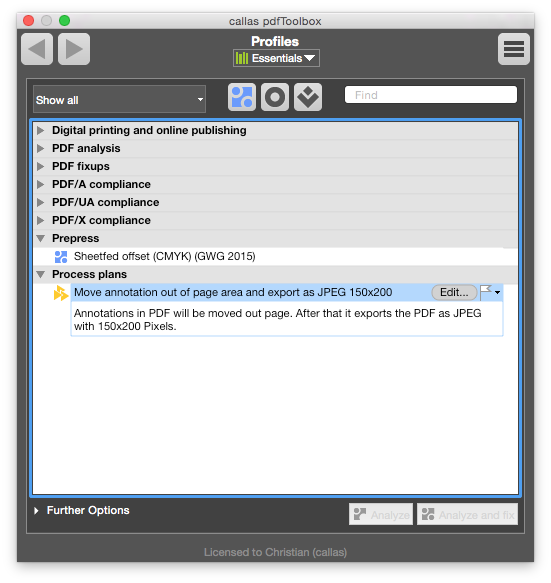 Click on the OK button to save the Process Plan. 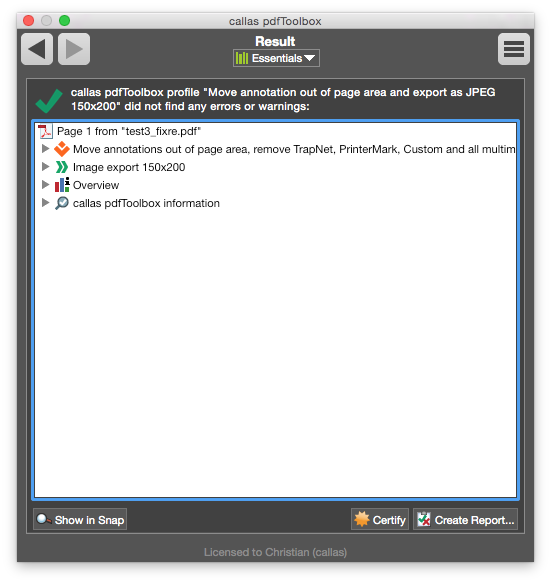 The new Process Plan with the associated Action is now available in the Profile window under the name Move annotations and export JPEG 150x200. Click Check and fix-up to execute the Process Plan. 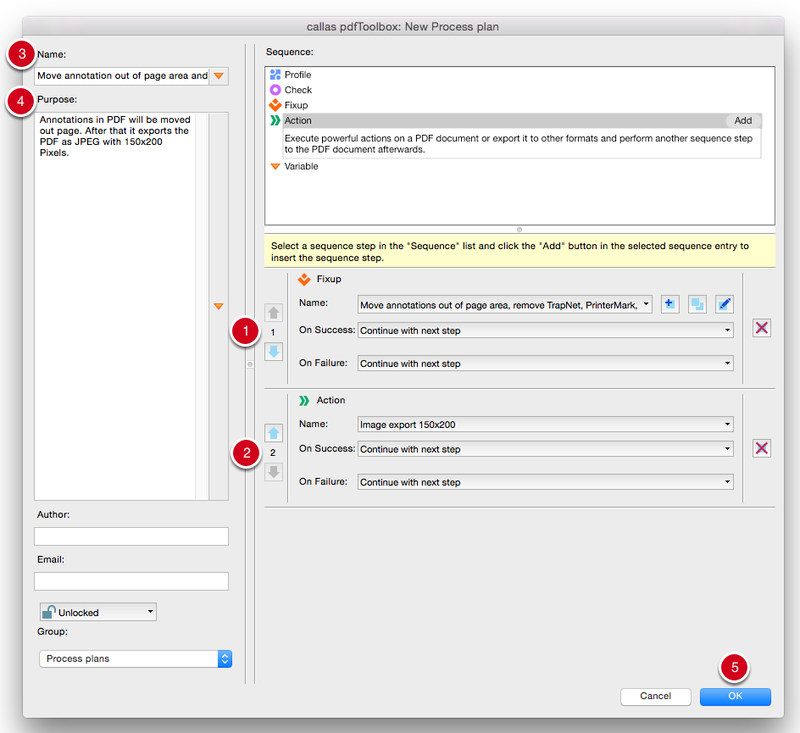 The Results window shows all sequence steps executed by the Process Plan, including the integrated Action. Not all Switchboard Actions are available as Actions for Process Plans. The reason is, that some Switchboard actions are based on Profiles of Fixups.